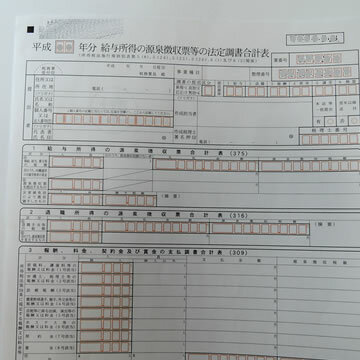 December is the time for Nenmatsu-chosei, the year-end tax adjustment declaration. The filing due date is January 31 in the next year. 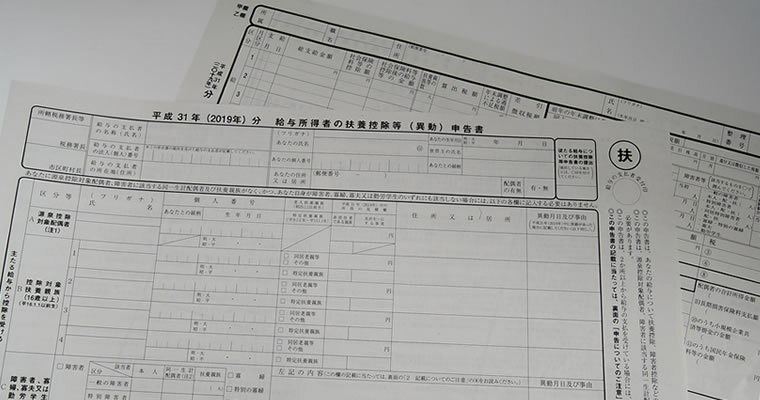 Nenmatsu-chosei or the year-end tax adjustment declaration is a process to adjust tax payment, required to do at the end of the year and submit the necessary documents by January 31 in the next year. In Japan, in principle, employers are required to withhold income tax (and municipal tax) from the payroll of individual employees, and the employer needs to pay the withholding tax to the tax bureau every month*. When calculating the tax, it allows deductions from the salary that rate varies depending on employee's personal situation, such as the family structure, how much paid for insurance premiums etc. Since the deduction rate varies by life-changes from time to time: marriage, having a baby, joining life insurance premiums, or being disaster victim of an earthquake etc., an adjustment is required so that the sum of income tax already has paid within the year can be equal to the final annual income tax. After the adjustment and the declaration, the employer issues a certificate of income and withholding tax to each employee, then, the over/less payment of income tax is refunded/paid if needed. The income tax is paid National Tax Agency Japan, and the municipal tax is paid the local government. Also, the tax period differs each; The withholding income tax is paid in the current year, the tax period is from January to December. The withholding municipal tax is calculated based on the final amount of income in the previous year between Jan-Dec, and the tax period begins from June in the following year. 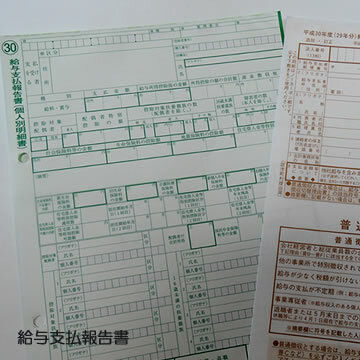 As for the municipal tax, it only requires the declaration for Nenmatsu-chosei as the municipal tax is paid after the adjustment made in December in the year before. *Small business owners having 9 employees or less are allowed to pay every 6 months. To be allowed, the owner must have submitted a certain document to the tax bureau. If you own a company (or a sole proprietor) having an obligation as a tax withholding agent, you may receive a set of documents from the Tax Bureau (Zeimusho 税務署), usually mailed between late October and early November. The papers are for Nenmatsu Chosei 年末調整. Though the information here is maybe not much in need for companies hiring in-house/outsourced tax accountants, those salary payers who run a small business, small factory, shop and restaurant, should know about the filing process. The filing will not be much trouble as long as they have only a few employees. Also, the online-filing system "e-tax" and "el-tax" will be a help. In the large envelope sent from the tax bureau usually includes these documents. 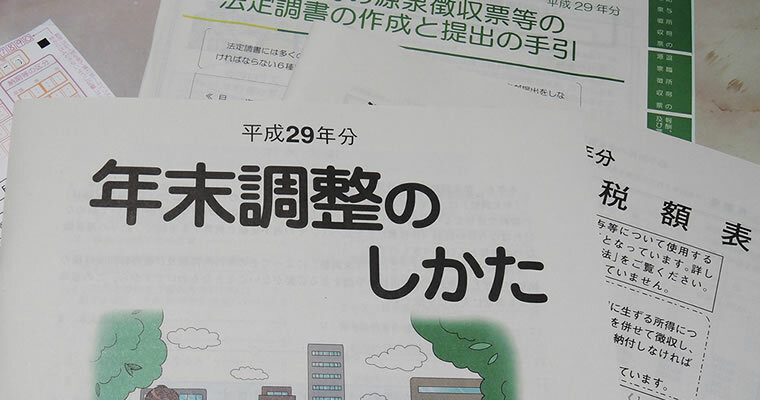 In November, the Tax office in Tokyo usually holds a briefing to provide guidance on how to make a tax adjustment and explain the related legal changes. At the briefing, they also give attendances copies of declaration forms that includes reports required to file local government city where each employee (taxpayer) lives. Report forms are submitted to the local government by Jan.31 in the next year. 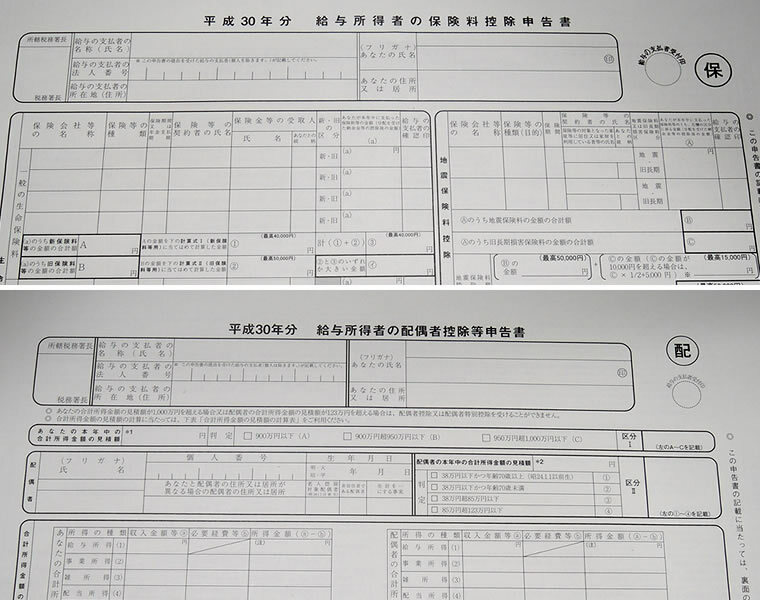 The municipal office also provides papers (images below) to record individual employee's salary statement and personal situation, used in the following year. Note: The format of these papers may vary every year. The number of documents to provide may also vary. This is a guide to making the tax adjustment, includes information about how to calculate deductions, filling the papers, deduction rate tables, and explanation of legal changes. This guide is used at the briefing. 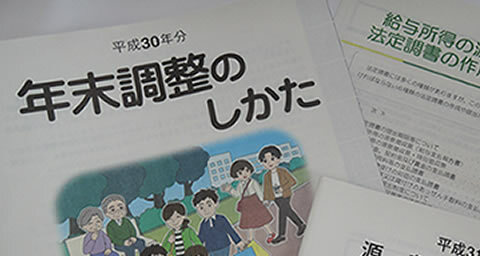 This guide is downloadable on the website of Japan National Tax Bureau. These guide provided by the tax office is helpful, but they are all written in Japanese. Besides, the contents are too dense to read through, even for native-Japanese speakers. If you find difficulty in handling Nenmatsu-chosei, it will be better to hire a specialist for help. The statutory report of fee payment (報酬、料金、契約金及び賞金の支払調書) explained in this reference guide is a slip to report the fees( and tax) paid to contracted specialists, such as a lawyer, illustrator, translator, and writer. This submission is required depending on certain conditions. For example, if you hired a freelance translator and you paid the fees that amount was 50,000 JP Yen or less in the year, the submission of this report is not required. The booklet of the tax rate tables is updated every year and sent at the end of the year to use in the next year. Be sure and use the appropriate tables. This check sheet helps you know what reports/working papers you need to prepare to submit. The table to report the latest withholding tax return for annual salary amount. Be sure and fill in carefully as corrections of this document must be done according to an instruction by the tax bureau which is rather troublesome. This is a bill to pay/refund tax after the adjustment. If the tax was paid much, the exceeded amount is refunded by submitting this slip. If the tax was paid less, the shortage is paid by this slip. In any case, you need to fill in this slip and submit to the tax bureau.If there is no difference after adjustment, just write zero "0" in the form and submit it. 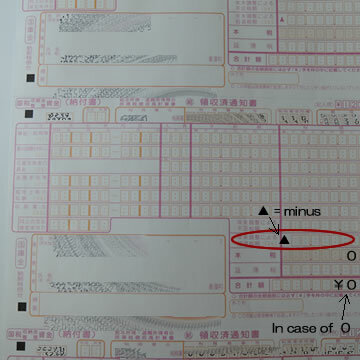 In Japan, there are two online systems available for taxation. Though they are in Japanese that makes non-Japanese speakers hard to use, there is some reference available in English. The system operated by National Tax Agency Japan, allows online declarations and the payment of national tax including income tax. On their website, they offer reference on how to use it in English. el Tax is the online system organized by local governments, allows online declarations and the payment of local taxes including municipal tax.